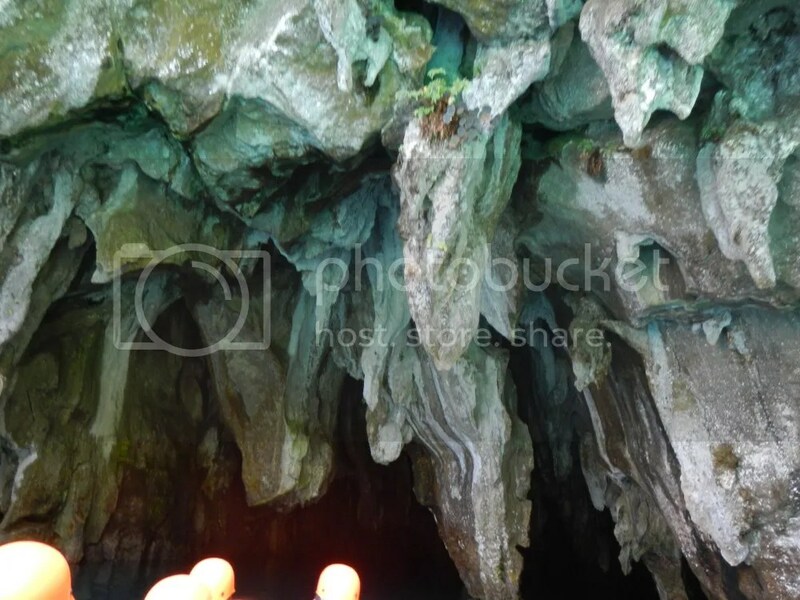 In Part 1, we told you about the beautiful scenes and adventures as we journeyed to the Puerto Princesa Subterranean River National Park. Now, let’s go into the subterranean cave itself. 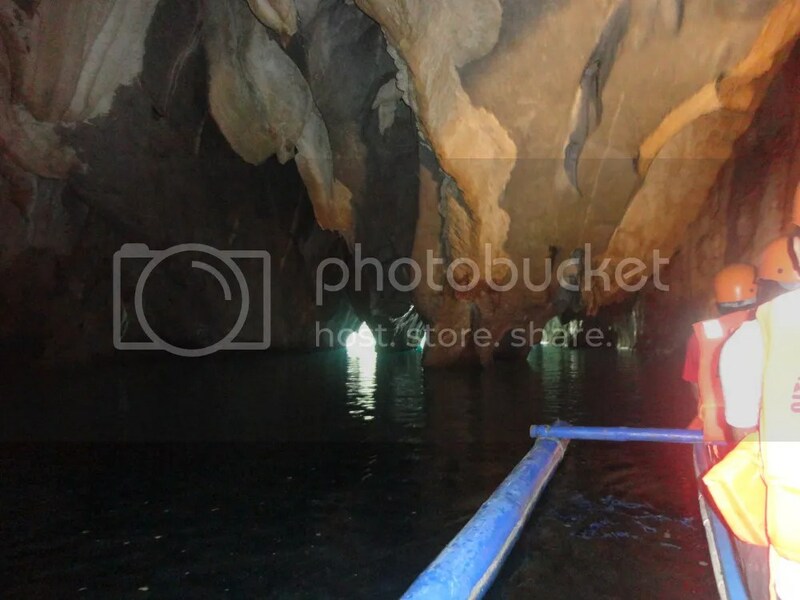 The Puerto Princesa Underground River is basically a complex river-cave system that has been carved inside the stunning karst mountain called St. Paul’s Karst Formation by the forces of Mother Nature. 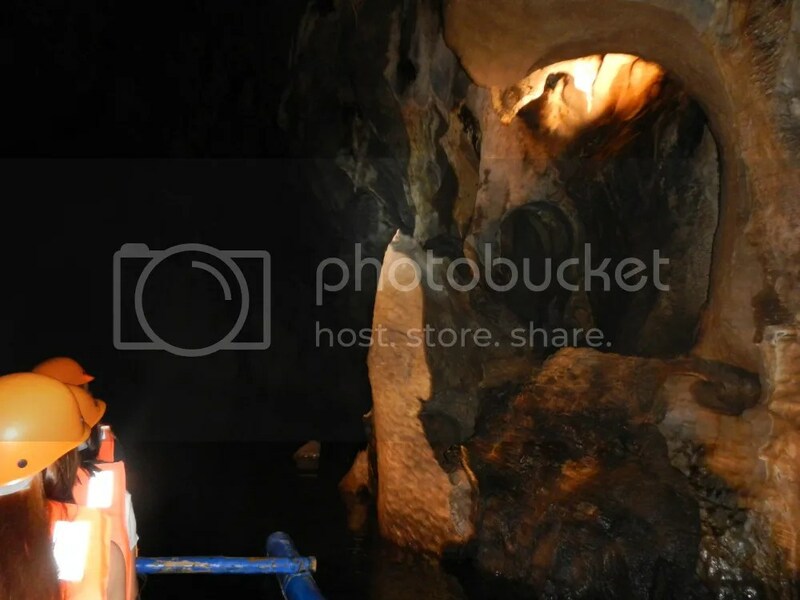 For millions of years, the constant flow of water from the Cabayugan River coupled with rain that seeps into the ground slowly but surely carves passages and cathedrals inside the mountain. The mountain itself is 1,026 meters high, and the entire park is a UNESCO World Heritage Site. Nearing the cave’s giant mouth, we can’t help but experience an ominous but grand feeling. Not just because we were actually going to experience a Natural Wonder of the World but also because we were going to witness just how awesome the power of Mother Nature is. Like a massive mouth from some Lovecraftian monster, the entrance of the cave is filled with these massive teeth-like, moss-covered stalactites. Stalactites are a type of drip-stone speleothems, or formations of secondary mineral deposits. The deposits remain in contact with the ceiling of the cave and builds over time as water deposits more minerals on the formation. Most stalactites have hollow centers. 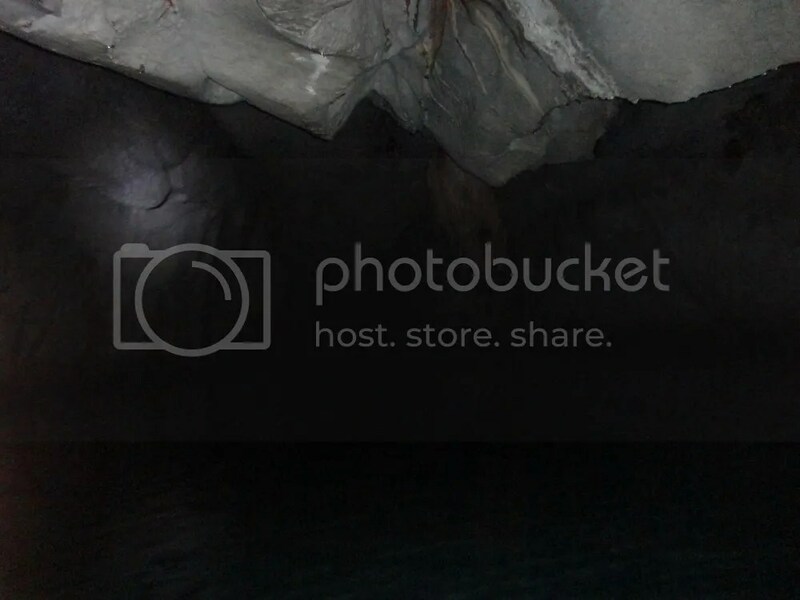 Watch your head as you enter the cave; some of the stalactites hang low on the water. The cave is lined with various types of rock. Some are as smooth as granite while others are rough like this speloegen. Just check out the photo. It looks like we’re going inside the throat of a monstrous creature. 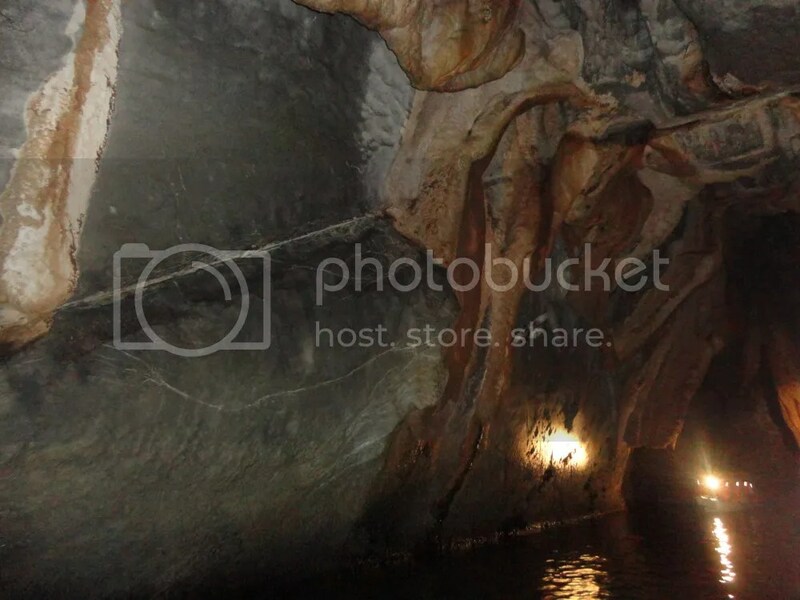 The entire cave network is actually 24 kilometers long. 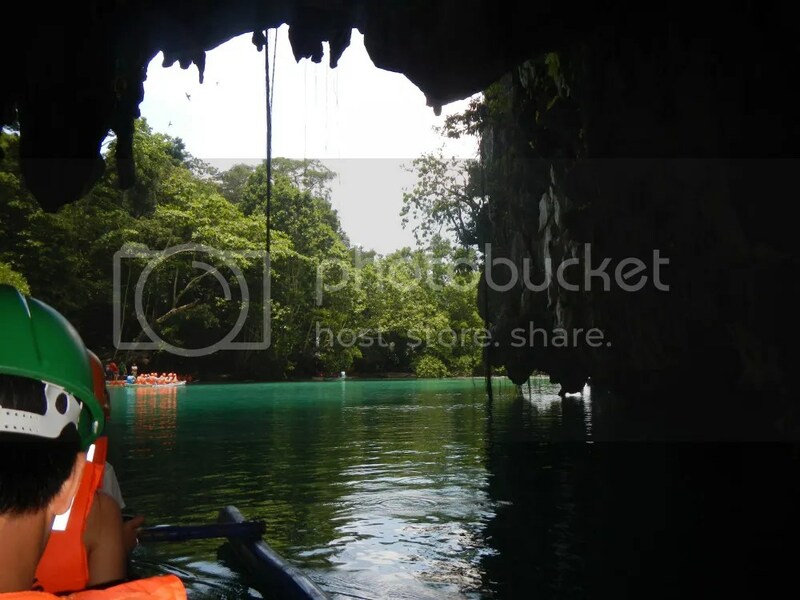 However, the Puerto Princesa Underground River itself is 8.2 kilometers long and empties into the West Philippine Sea. 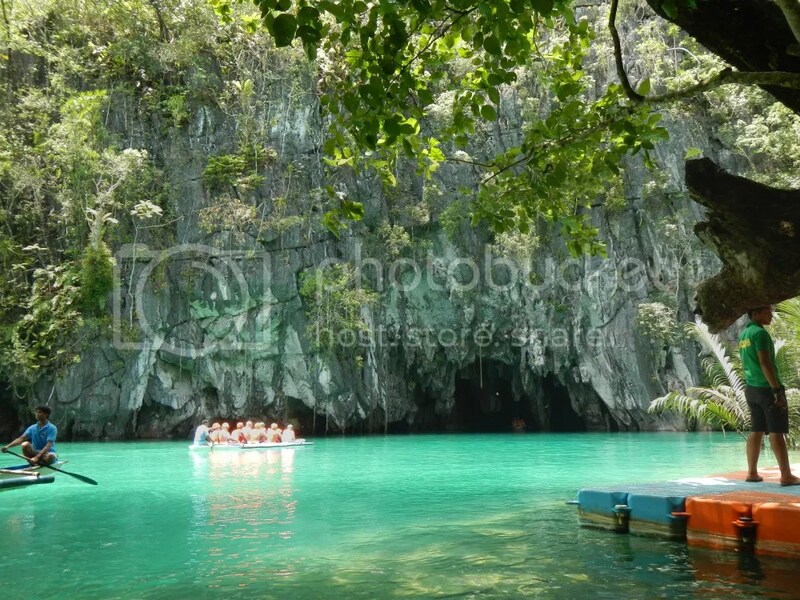 Only 4 kilometers of the underground river is navigable by boat. 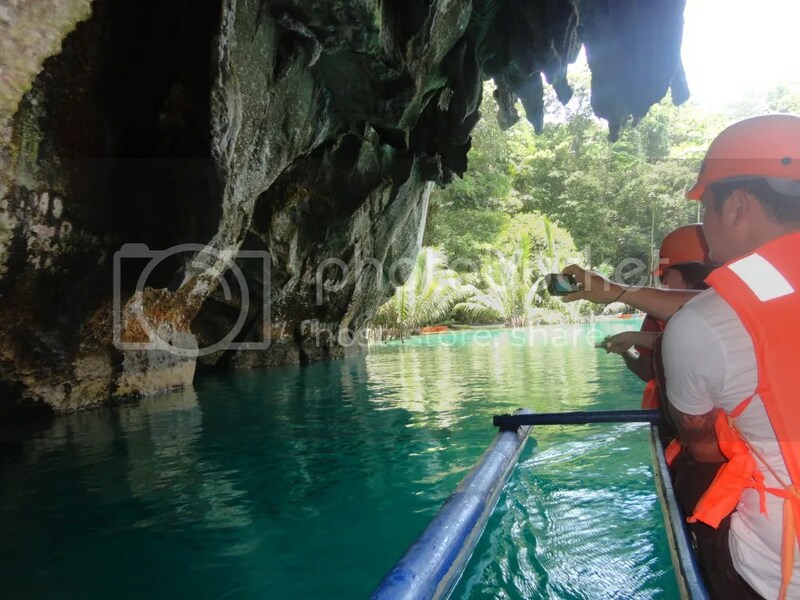 Tourists are permitted to explore 1.2 kilometers of the underground river; the rest of the river is off limits except for geologists and researchers. 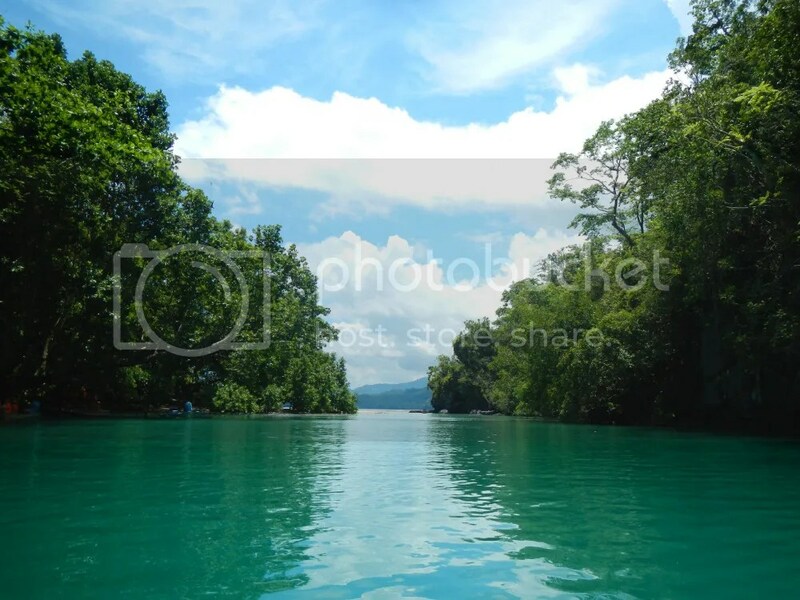 Furthermore, to explore the deeper parts of the underground river, you need to secure a special permit. See those dark streaks on the wall? That’s guano, or excrement from bats. Guano is a valuable fertilizer due to its high nitrogen and phosphorus content. In the past, it was a primary source of nitrates that are used to formulate gunpowder. A few minutes into the cave, we are greeted by this monstrosity. Our guide called this the T-Rex as it resembles the head of a Tyrannosaurus Rex. The T-Rex is just one of the unique rock formations that line up this amazing natural wonder. Behind the T-Rex is a weird stalactite the guide called The Crocodile. The T-Rex, The Crocodile, and other rock formations are formed with a process called precipitation of carbon carbonate. Drops of water carry minute amounts of minerals. When the water evaporates, it leaves behind the minerals. 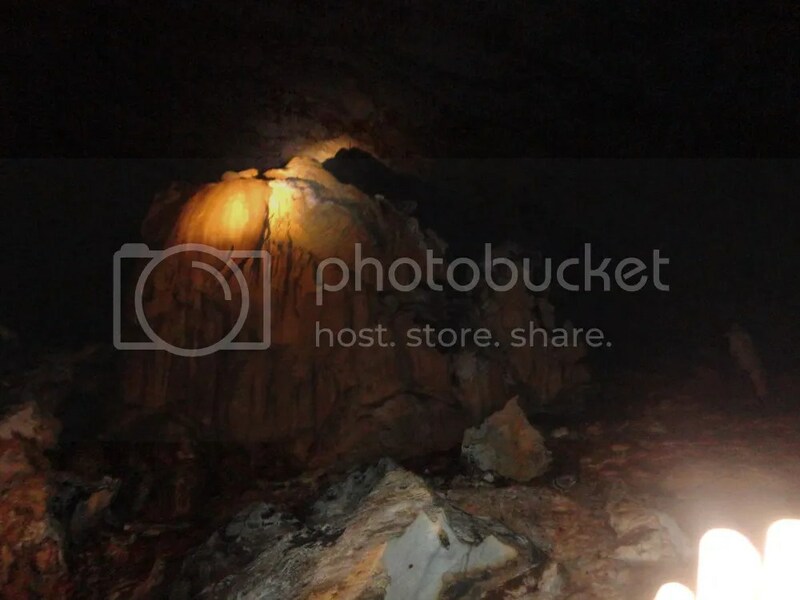 Over millions of years, the minerals accumulate, birthing stalagmites, stalactites, and other forms of speleothems. 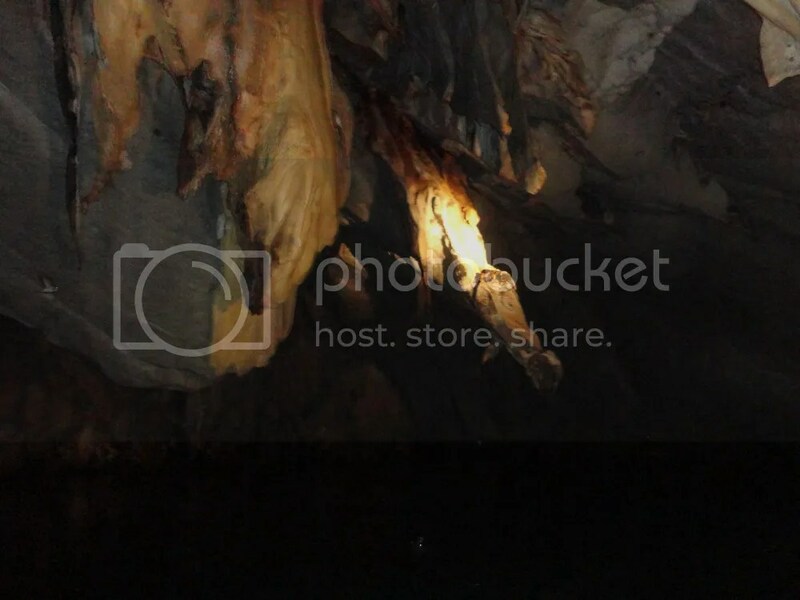 Natural cavities like these, shaped by Mother Nature’s persistent hand, line up some parts of the cave’s interior. 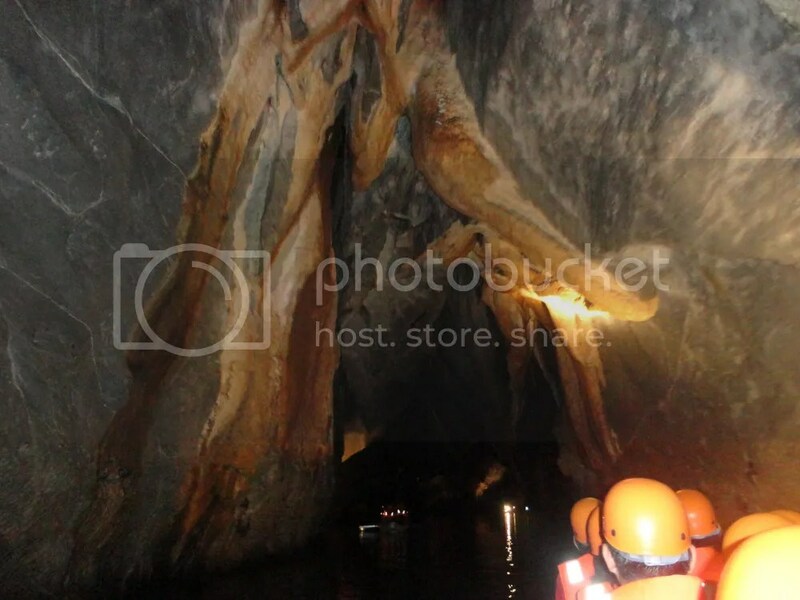 As we moved deeper into the cave, we were treated to a spectacular sight—this huge stalagmite with its own island within a massive chamber the guide called The Italian’s Chamber! We estimate this stalagmite to be as large as a two- or three-story house. Check out the photo above. Can you see how high the Italian Chamber is? Our light can’t even reach the ceiling—that dark void above us! 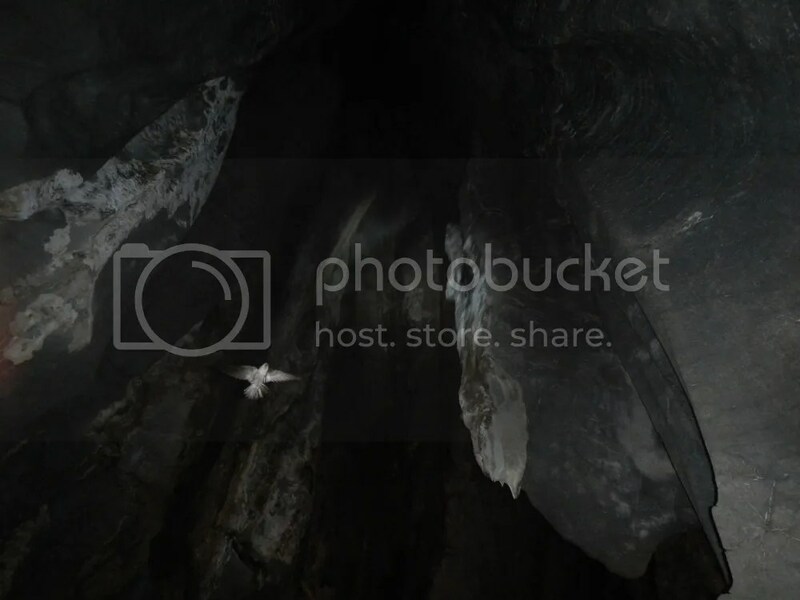 That bird is a swiftlet, one of the many creatures that have adapted to the conditions in the cave. 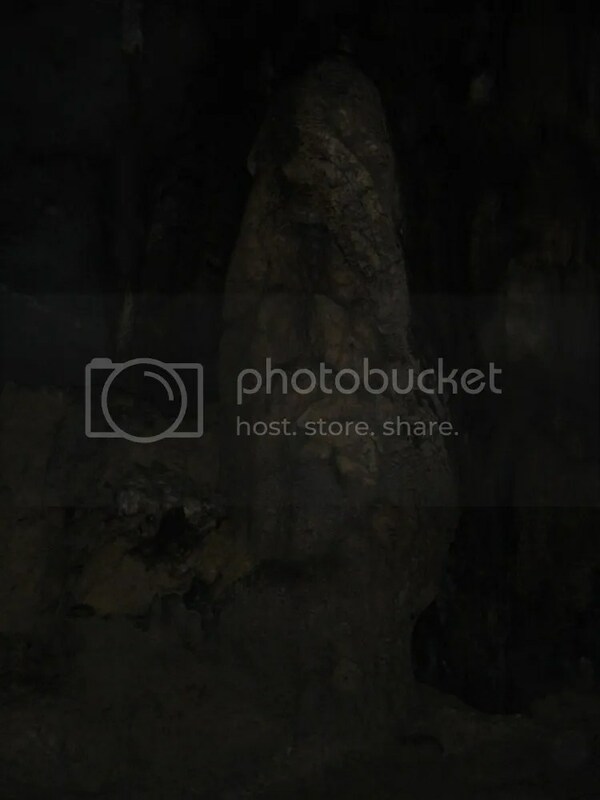 Because the inside of the cave is enveloped in total darkness, a swiftlet navigates its way and hunts for prey through the use of echolocation. Echolocation is Mother Nature’s sonar and radar. The bird produces a chirp whose sound wave is too high for humans to hear. When the sound wave hits the object, some of the waves bounce back to the swiftlet. The bird hears/receives the sound and uses the data to pinpoint prey or to find their way around. Swiftlets use their saliva to build their nests, which are glued on the cave walls. Brave souls climb the steep and razor-sharp walls of the caverns to pry out these nests. The nests are then processed as the main ingredient of bird’s nest soup. The Pegasus stalagmite, named after the mythical winged creature in Greek mythology, is one of the stalagmites on the island. 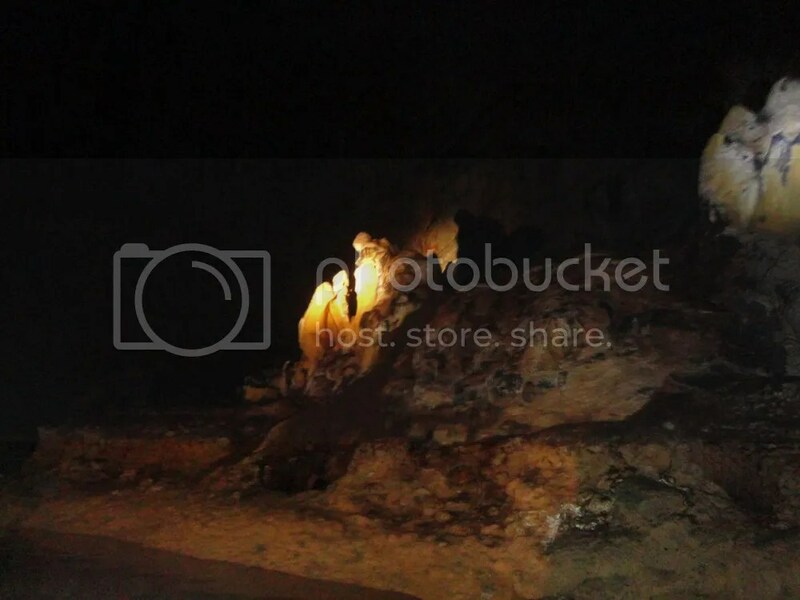 The eerie Holy Family is another set of stalagmites in The Italian Chamber island. 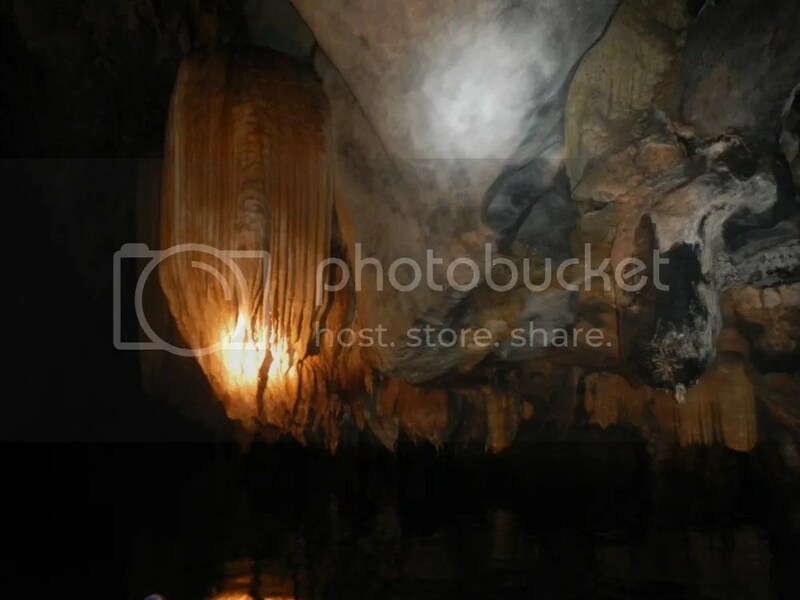 Stalagmites such as these are formed when water drops from the ceiling to the floor of the cave. As the drops impact the floor, they release their “load” of mineral deposits. As time goes by (and we’re talking millions of years here), the minerals accumulate and crystallize, forming pointed formations commonly known as stalagmites. 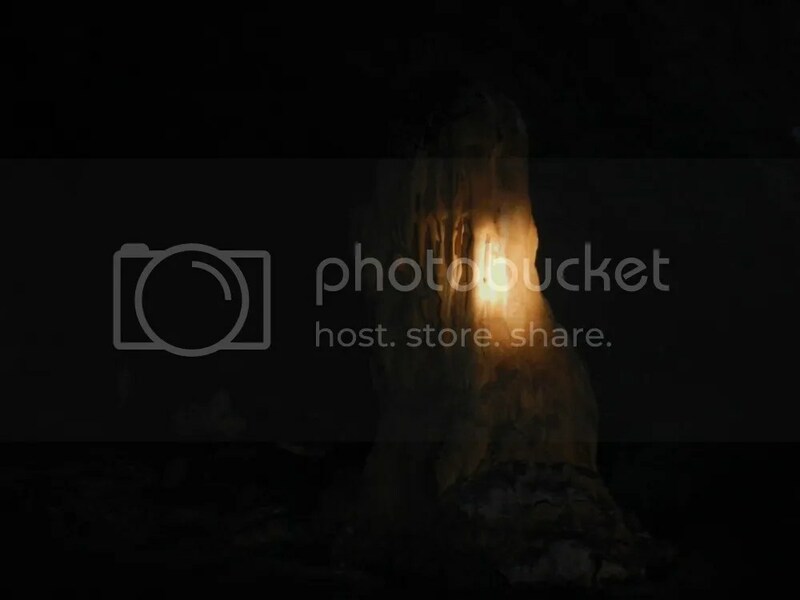 Doesn’t this stalagmite remind you of something? 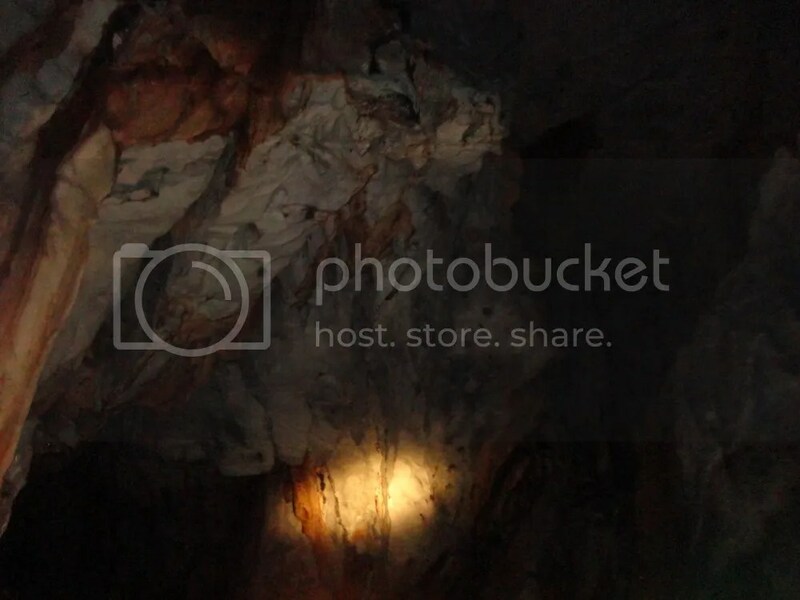 Anyway, after quite some time, the mineral deposits of stalactites and stalagmites sometimes meet together. This leads to a formation called a column. This stalagmite is so massive that our boat’s floodlight couldn’t illuminate the whole thing. 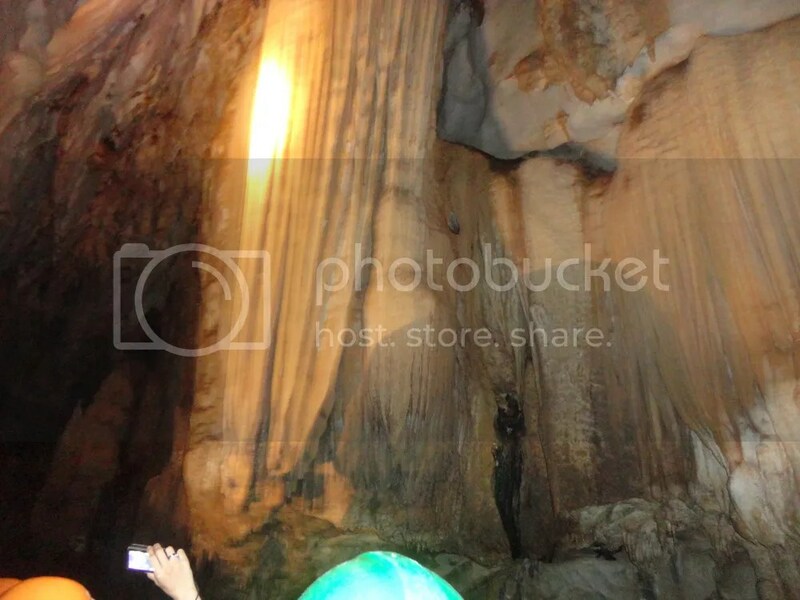 The guide called this rock formation The Candle. 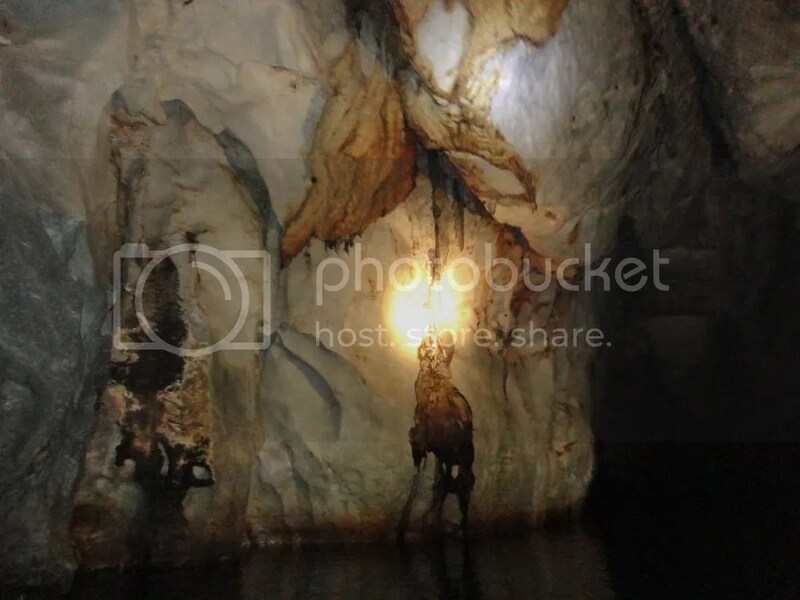 It is one of the largest and tallest stalagmites in the Puerto Princesa Underground River. 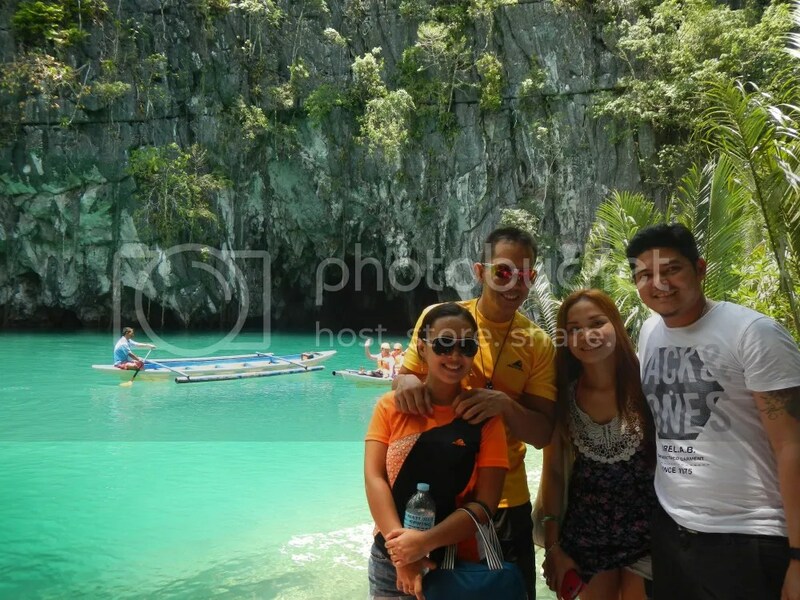 We encountered other tourists who visited the cave earlier. Just wave and don’t point your light at them. Deeper into the cave, we encountered these strange rock formations that resemble giant mushrooms and vegetables. These are called draperies or curtains. Here’s a closer look of a beautiful drapery. This flowstone formation is made by water that flows on the walls. However, instead of dropping to the ground, the water “sticks” to the wall. As the water evaporates, it leaves behind a string of mineral deposits, which, over time, form into this kind of rock formation. That’s a really long drapery that originates all the way up from the ceiling. It’s magnificent, isn’t it? Water is extremely soft, gentle, pliable, and formless. Yet, this gentle liquid can carve the hardest stones, form the longest valleys, and topple down the highest mountains. Artfully, we might add. Nature is indescribably amazing! More strange draperies. We had fun listening to the guide as he rattled off the names of the draperies, which he based on vegetables. “That’s the Upo” or “Can you see the Puso ng Saging?” Of course, the draperies do look like the vegetables he enumerated. As you probably can tell, Sweetie and I had a fun with the educational trip in the darkness. The guide warned us to close our mouths if we wish to look up. Why? Well, check out those black spots on the roof. Those are bats, clinging precariously on the ceiling walls. Now, what has that got to do with keeping our mouths shut? Well, put it this way: the ceiling continuously drips with water. Unfortunately, not everything that drips is water. And if it gets into your mouth, you might taste something that is a little bit more than water. After 40 minutes, we reached the end of the publicly allowable and navigable length of the underground river and made a U-turn. Going beyond this point requires a special permit from the government. Even then, you need to be a certified geologist, biologist, researcher, etc. to go further down the river. After around half an hour, we finally saw a glimmer of day! Then we’re out of the cave. Look at that cool, clean, brackish water! By the way, the guide told us that that average depth of the water in the PPUR is 11 meters. Now, that is a pretty, welcome sight! After an hour in the cave, we were ready to embrace daylight. That’s the sparkling clean Cabayugan Estuary immediately in front of the subterranean river. 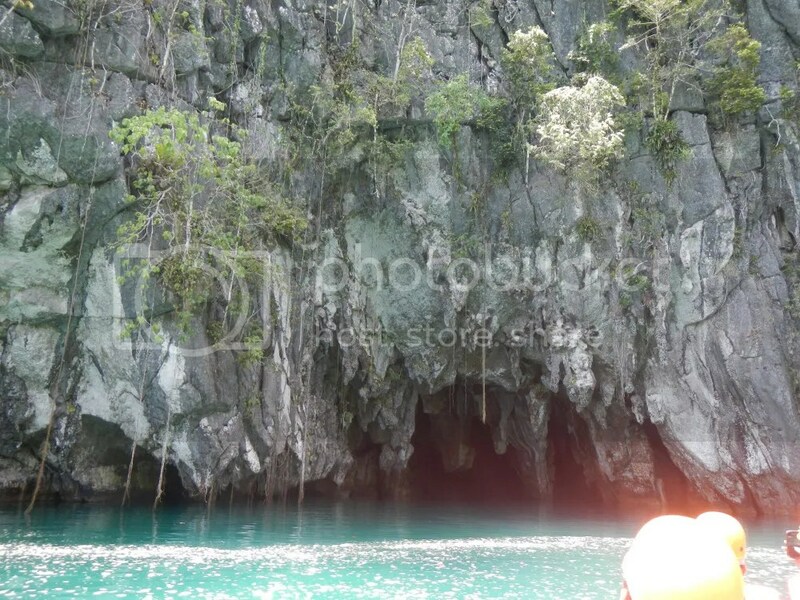 The water in this estuary flows through the cave toward the West Philippine Sea. Adventurous, cool couples meeting together! That’s Team Sweetie together with Kiethleen and Kenneth. 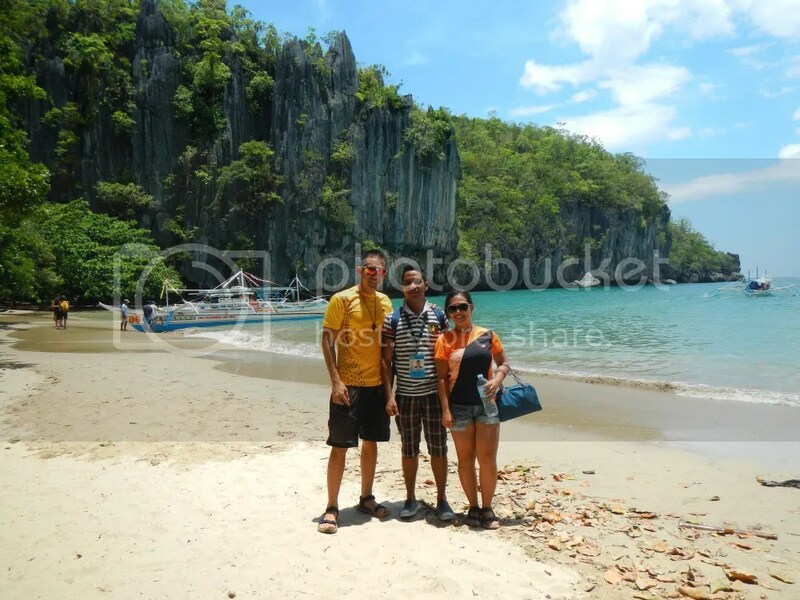 We just met during this adventure and were thrilled to know that they are from Cebu. We later found out that this tour was part of their honeymoon! Congratulations! 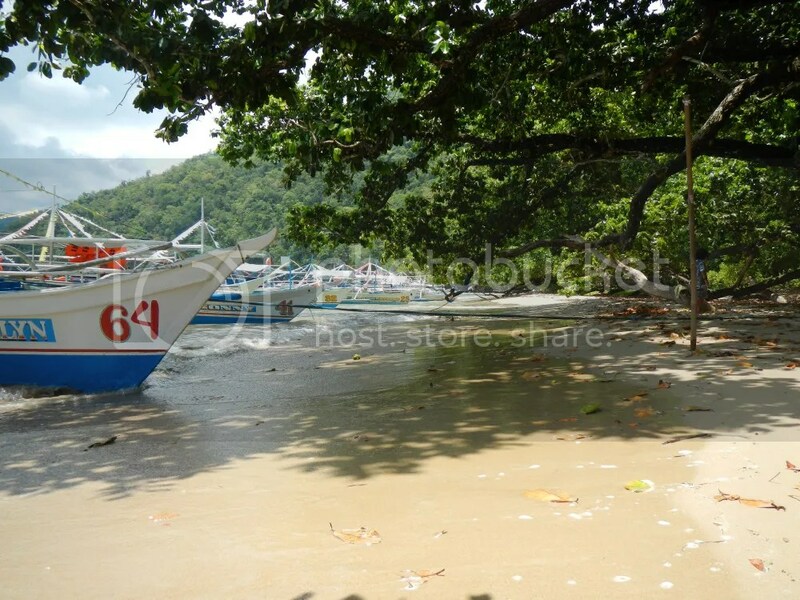 On our way back to our boat, we couldn’t help but admire the pristine sand of Sabang Beach. Beach lovers would definitely need to be strong-willed to be able to resist the temptation of diving in. Of course, they’re not permitted to swim here as this is a protected area. That’s our cool guide Jeron. He’s really lively, knowledgeable, and entertaining. The tour won’t feel dull or boring when you’re with him. Jeron and Sweetie! 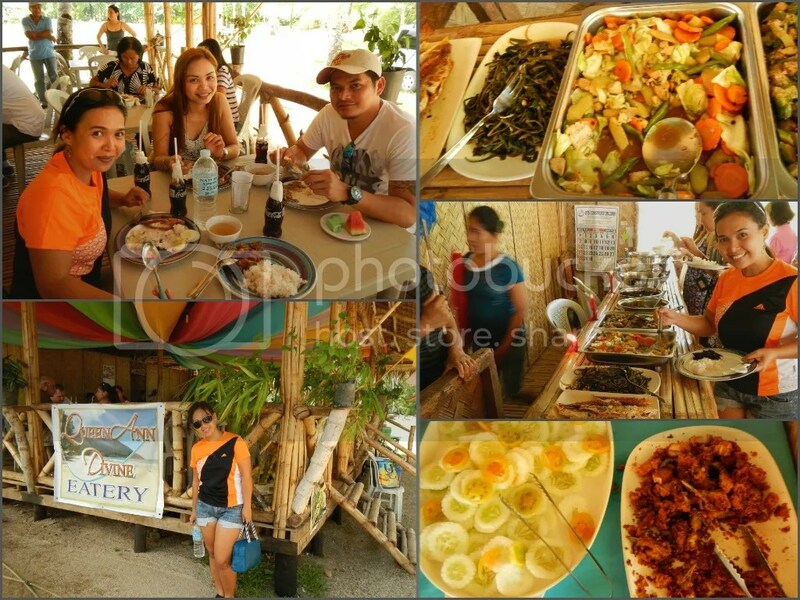 Jeron can also arrange or help you with your Puerto Princesa tour. The majestic Mt. 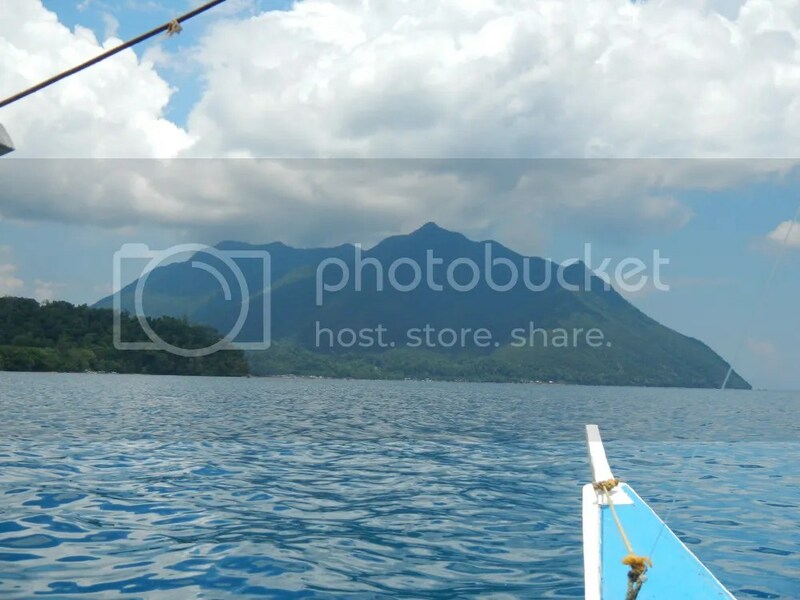 Bloomfield loomed across the distance as we headed back to Sabang Wharf. No, that’s not a colurom van or V-hire. That’s our tour van. 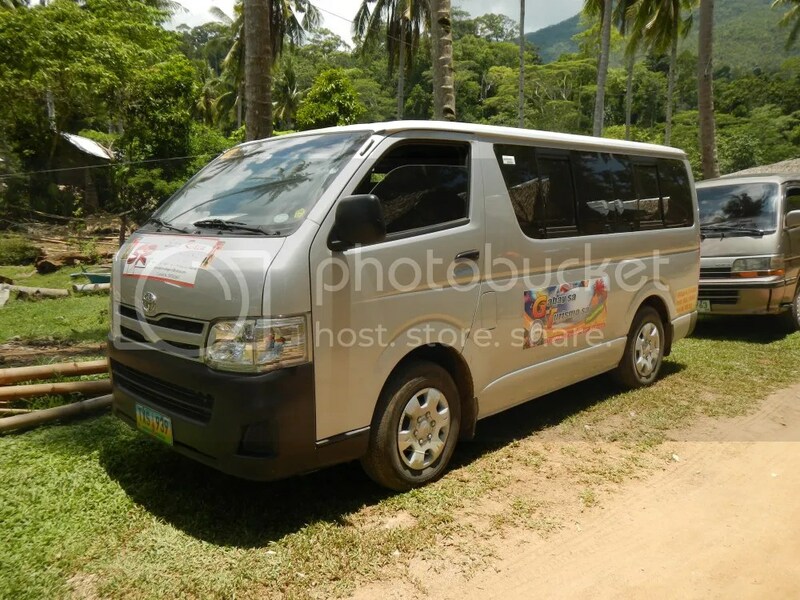 In Puerto Princesa, tourists head out to tourist spots in these very well-maintained vans, which can be hired for a reasonable price. Also, a person who wishes to operate a tour van must apply for certain tourist certifications and licenses. He may undertake seminars and workshops sponsored by the local government’s tourism office. Once the applicant accomplishes the requirements, he is given a Gabay sa Turismo sticker, which must be placed at the side of the vehicle. Vehicle with such stickers are recognized as legitimate tour vans. Finally, we were treated to a wholesome eat-all-you-can lunch at the Queen Ann Divine Eatery, which is a simple Filipino-style restaurant. 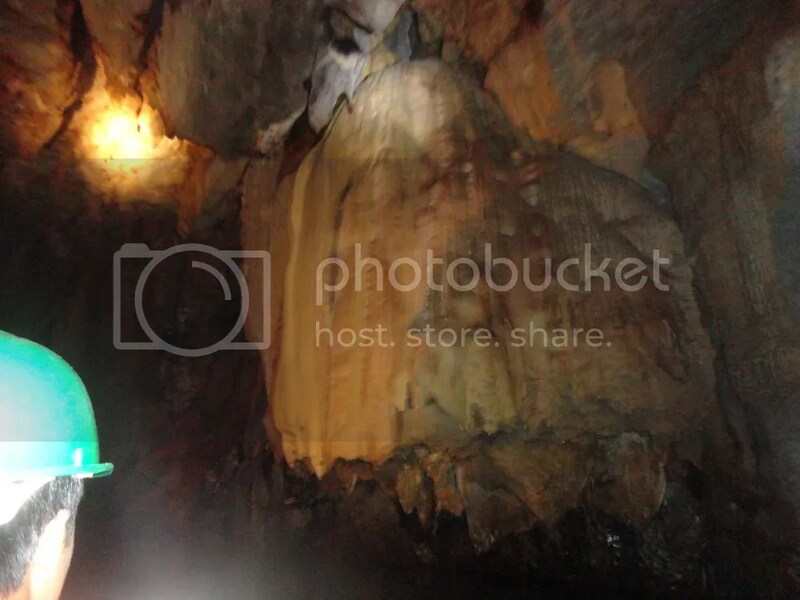 All in all, our Puerto Princesa Subterranean River tour was truly mind-blowing. For starters, we were able to visit an internationally known natural icon, a World Wonder at that! We met new friends. We learned more about the wondrous geo- and ecosystems that dwell in cave systems. We became more adamant advocates of the preservation of the environment. Most importantly, Sweetie and I were able to reconnect our souls to Mother Nature in this dark, strange world as we witnessed her awesome power to enchant, bewilder, provide, or terrorize mankind. 1. 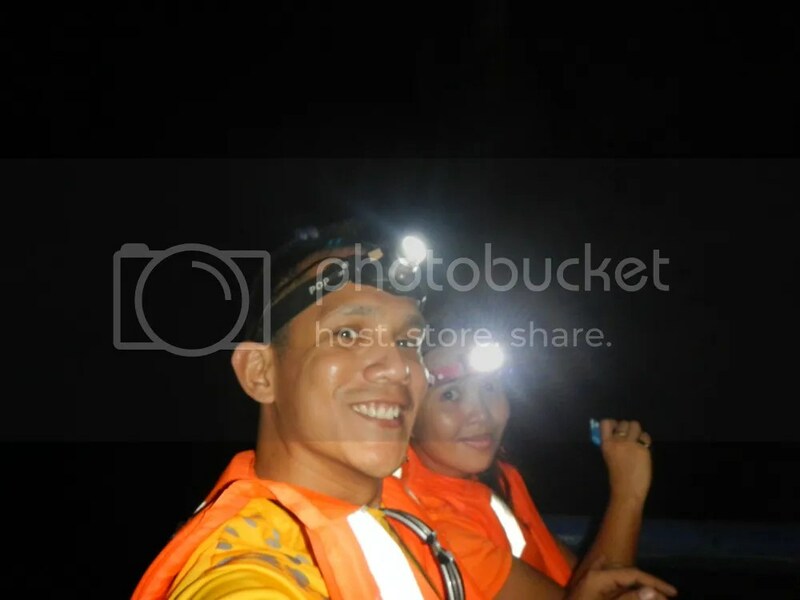 For tips about getting a permit to enter the Puerto Princesa Subterranean River National Park, fees, commuter schedules, things to bring, and other information, check out the Tips section of Part 1. Please negotiate your guide fee with him. We availed of a package early on, thus, his guide fee was included in our package. 3. If a van driver/guide offers you a Puerto Princesa tour, always check if his van has the Gabay sa Turismo sticker. If it doesn’t have one, then it is likely that he’s operating illegally. You may also ask for his tourism ID. 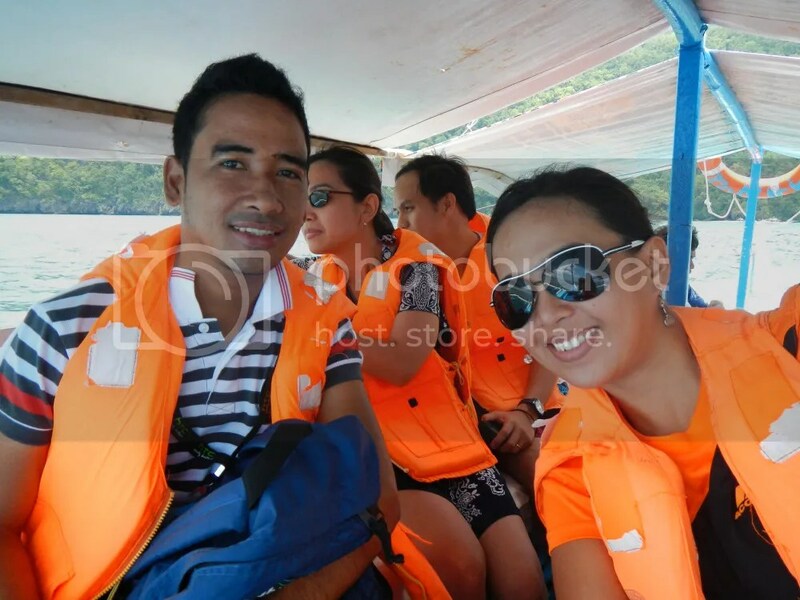 Accredited guides such as Jeron always carry with them proper tourism IDs. For rates, business hours, and other information, please check the Tips section in Part 1. 5. 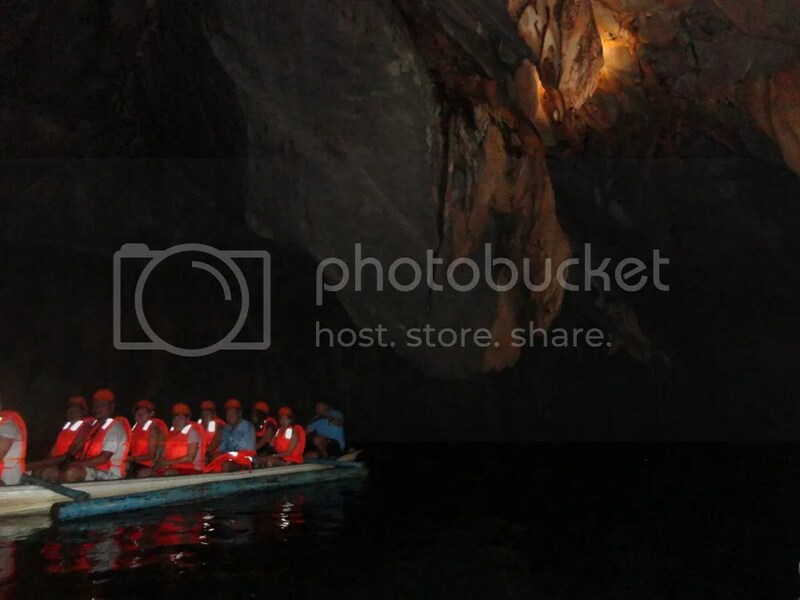 Four kilometers of the cave is navigable by boat. However, for tourism and recreation, guides and tourists are only allowed to go 1.2 kilometers. Beyond that, you need a special permit from the PPUR office. Counseling, procuring, soliciting, or employing any person to violate any of the prohibitions in RA 9072. 7. 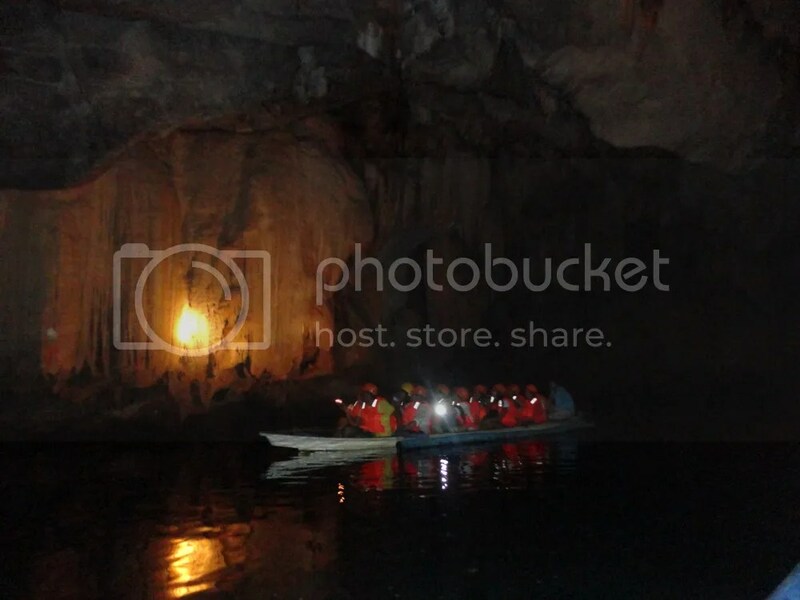 Help keep the Puerto Princesa Underground River a treasure to behold for many generations to come. It’s easy; just a bit of discipline is needed. Do not throw your garbage (even organic ones) during the Park tour and the underground river cruise. Put your rubbish in designated garbage cans. Better yet, put them inside a plastic bag and dispose the bag when you’re back in your hotel. Do not touch the rock formations. These are very delicate and the slightest touch can irreparably damage what Mother Nature has worked on for millions of years. Do not make any loud noise. Not only do loud noises disrupt the serene experience of the cruise but they also disturb the habits of cave-dwelling animals. Do not feed any animal that you come across with; you might disrupt their natural feeding pattern. Do not make any sudden movement in the boat. Remember that the boat it small, and rocking it is especially unnerving for other passengers. If you are seated in front, most likely, you will be holding the boat’s spotlight. Yes, it might be tedious or annoying following the guide’s directions on where to shine the light. If you don’t wish to be tasked with such duty, sit in the rear. Listen to the guide/rower to make the trip informative and entertaining. Do not shine the light on boat coming in from the other direction. Do not eat during the cruise. Be aware that the person behind you may want to take photos in front of you. If he or she intends to do just that, move your body slightly to the side until he or she takes a shot. Be courteous to your fellow passengers in the boat. 9. We received a query from a reader: “Can I bring and use a camera in the PPUR?” Yes, you can, and you can use a flash too. Thank you for the compliment.There were a lot of swiftlets when we went inside the PPUR. How was your experience there? Our guide was really cool too. Thank you so much Ms. Sheila and Sir Gian for another experience, and the ideas and knowledge from both of you during your tour here in Puerto Princesa City and the Province of Palawan. Thank you and you really enjoyed my company. For those who weren’t able to visit this wonderful attraction, hope that this experience, photos, and information from them would really motivate and invite you to come. Atin to! It’s more fun in Palawan. It’s more fun in the Philippines. Thank you so much too for guiding us. We were actually hoping that you would guide us in Honda Bay the next day. this is one of my dream destinations. but i heard the number of visitors are already kept at a certain number. anyway, thanks for this very informative and well-described narratives. 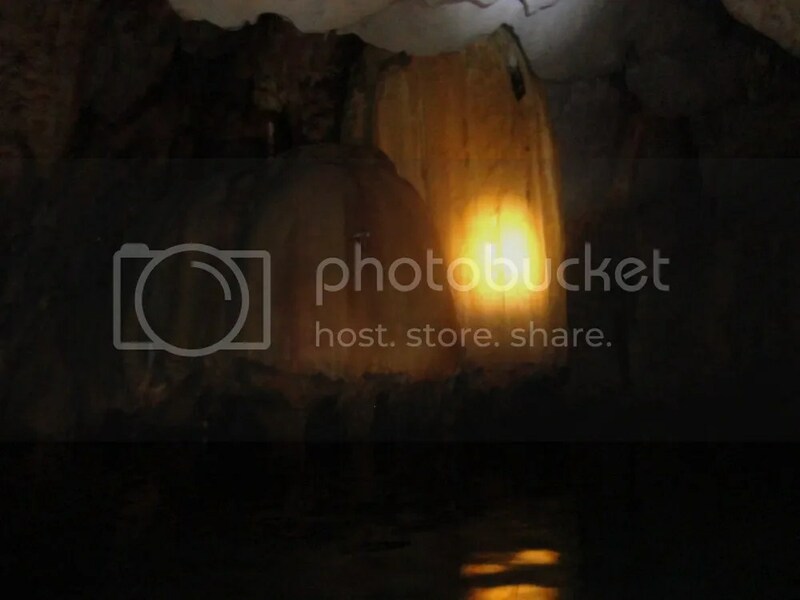 i feel like i was entering the caves with you when you were describing the experience and the appearances. Oh, you should go to PPUR. It’s really amazing. Yes, they are limiting the number to 900 to 1000 visitors a day to avoid stressing the cave and the park. That’s why you have to go to the PPUR office in Puerto Princesa proper to book your visit BEFORE you actually go to the PPUR. 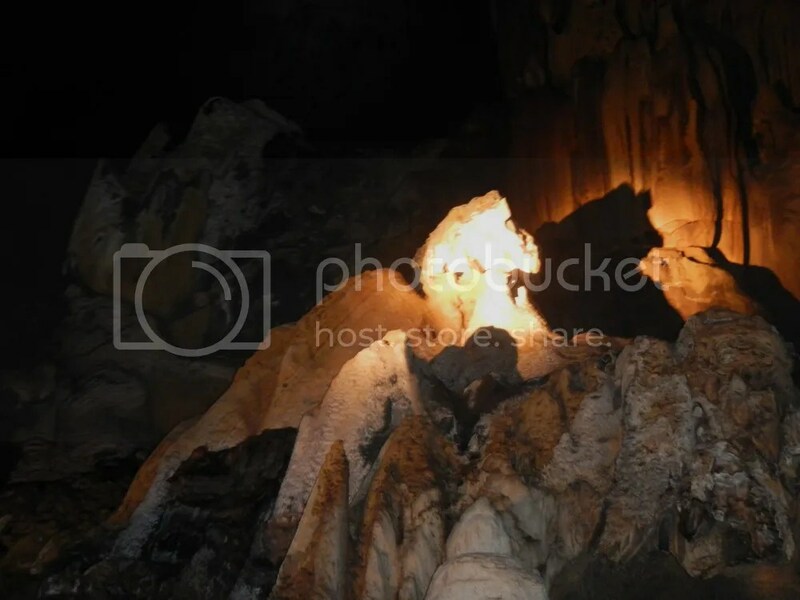 You can check out “Puerto Princesa Subterranean River National Park: A Journey to a Mountain’s Heart Part 1” (the blog post before this) for booking details. We have updated your email contact in the tips section. Thanks! You’re very much welcome. 🙂 Thank you so much too for visiting our site. We’re glad that our humble post was able to help you. Actually, we believe that the earlier you book your tour, the better. You will have more time to save more money or make a few minor modifications to your booking. You did the right thing in booking your tour with Jeron early. Could I ask which tour agency you booked your tour with? Thanks! We used Golden Ticket Travel Services as our tour provider. Click on this link then scroll down to the Tips section. Their contact details are in there. Thank you very much for the complement. Your website is amazing!